It’s important to be aware of what’s going on all around you when you’re driving, but you don’t have eyes in the back of your head. That’s why newer cars are making more and more use of sensors and camera systems to detect potential risks and keep you informed. When you know what’s happening on every side of your car you can make the right decisions to stay safe and happy. You only need to take your eyes off the road for a split second at the wrong time to end up in an accident. With automatic emergency braking, you get protection against potential accidents if you look down to check your dash or are distracted by your phone. The systems use either lasers, radar, cameras or a mix of multiple tools to determine if you need to brake and will react accordingly, even if you don’t. When it comes to cars and other objects in your car’s blind spots, what you don’t know definitely can hurt you. 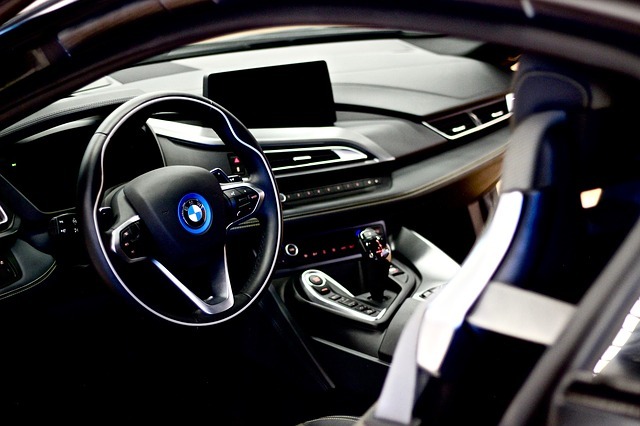 Sensor systems monitor the areas you can’t see when you’re behind the wheel and use a variety of alerts, like playing a tone or turning on a warning light, to make sure that you know where you can and can not take your car safely. One of the most common uses for cameras in modern car systems is the rear view camera which turns on when you put your car in reverse. Using cameras and sensors, your rear view system projects a live feed from a camera on the rear of your car to help you navigate, and alerts you if you are getting too close to any objects behind your car before you bump into them and cause damage to the objects, your car or both. If you are not comfortable when the time comes to parallel park your car, there’s great news for you — automatic parking is here. Using a system of sensors and cameras to gauge distances of the cars in the spots on either spot of yours, as well as the curb and any other relevant structures, cars with assisted parking systems let you pull up to a set position and get out of the way as the car parks itself. You never again have to worry about circling in a lot looking for a pull-in space when there’s a parallel spot available!